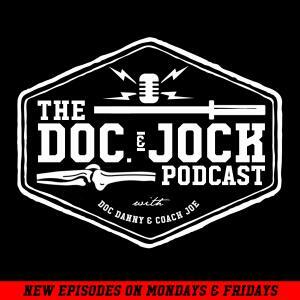 On Episode 147 of the Doc and Jock Podcast our producer, Johnny Bouchard, sits down with Pamela Gagnon of CrossFit Gymnastics to talk about developing a base of strict strength. For those of you who aren't familiar with Pamela, she is a lead instructor of CrossFit Gymnastics, a former collegiate gymnast at Rutgers, a 2 time CrossFit Games athlete and 6 times regionals athlete. Basically she knows more about bodyweight movements than 99% of the world. If you are CrossFitter or Weightlifter this episode is a must listen.